PITTSBURGH, PA. — Steelers quarterback, Ben Roethlisberger, along with teammate, Brett Keisel, appeared at the Steelers’ practice facility on Feb. 7, 2015, for an event sponsored by Garth Brooks and his wife Trisha Yearwood’s Teammates for Kids youth sports camp where one hundred kids from the local Boys and Girls Club had their football fantasies fulfilled when they got to toss the pigskin with the Super Bowl champs. Source: ProCamps.com. Since its inception in 1999 by Bo Mitchell and Garth Brooks, the Teammates for Kids Foundation has raised over $80 million to help children in over 60 countries around the globe. The idea behind the cause was to take sports statistics and convert those statistics into money benefiting children in need. Starting with baseball players, the foundation has grown to include over 3,000 professional athletes from baseball, hockey, football, soccer, basketball, racing, golf, and even pro rodeo! All funds go straight to the kids. Ben Roethlisberger, nicknamed “Big Ben,” has been the quarterback for the Pittsburgh Steelers since 2004, leading the Steelers to two Super Bowl championships. He was drafted by the Steelers in the first round in the 2004 NFL Draft and has been one of the most efficient passers in NFL history. 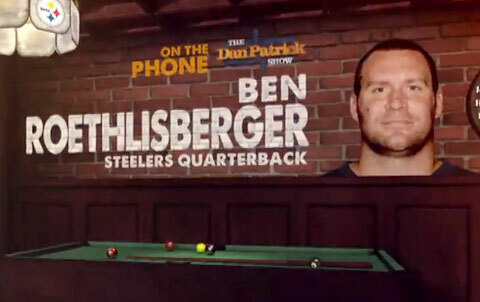 If you would like to book Ben Roethlisberger for an appearance, contact Ben Roethlisberger’s booking agent for speaker fees at PFP Talent Agency.